This is chic personified (in a hat). This wide brimmed boater style is the luxury you've been waiting for and will transform any outfit. Features gold patterned vintage ribbon that glistens in the sunshine. 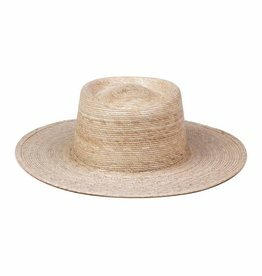 Made from zig-zag wheat straw weave, this boater is the perfect new staple hat for everyday wear. Handmade by artisans in Mexico, the Palma Boater is perfect for the soiree of your choice. 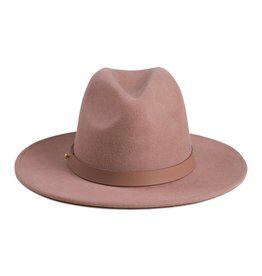 The classic luxe fedora style is an easy and accessible staple piece. Featuring a crown design, soft structured wool with a sewn edge and finished with premium gold stud detail and genuine leather band.